The purpose of this memo is to explain the legal framework and documentation required to become a naturalized Mexican citizen and obtain a Naturalization Card or “Carta de Naturalización” (CN). a) Soil: a person acquires the nationality of the country in which he was born. b) Parental Relation: a person acquires the same nationality as the one his parents have because both have the same blood. II. By Naturalization: the person acquires the nationality “second hand” and through a governmental procedure and declaration. Thus, he can lose it if he expressly renounces it or if he acquires a different nationality. Mexican law establishes several ways of acquiring Mexican nationality through naturalization, each of which involves different requirements, as outlined below. 1. Evidence he/she has lived in Mexico legally and continuously with a FM-3 or a FM-2 for at least five years. The applicant may not be out of the Country for more than 180 days in the 24 months immediately prior to filing for the application. 2. Complete and signed the application form, including the personal data of the applicant. 3. Submit his/her original FM-3 or FM-2, which must be current for at least 180 days following the date of application. The original FM will be inspected and returned upon submittal of the application and relinquished definitively upon receipt of applicant’s Naturalization Card. 4. List all entries and departures from Mexico FOR ONLY THE PAST TWO YEARS prior to the date of application. 5. Present original and current foreign passport and copies thereof (the original is inspected and returned and the copy is kept by the Authority). 6. Present two color and passport-sized photos. No glasses or hats may be worn. 1. Evidence that the applicant’s children, parents or grandparents have Mexican nationality by origin by presenting an original or certified copy of the Mexican Electoral ID or passport AND birth certificate. 2. Evidence that the applicant has lived in Mexico for at least 24 months, legally and continuously with a FM3 or a FM2. You may not be out of the Country for more than 180 days of the 24 months immediately prior to filing for the application. 3. Complete and signed the application form, including his personal data. 4. Submit his original FM-3 or FM-2, which must be current for at least six months before submitting your application (e.g. if you apply for citizenship on January 1, your FM must be valid at least until July 1). The original is inspected and only copy is kept by the Authority. 5. List all entries and exits from Mexico during the 24 months prior to the date of application. 6. Present original and current foreign passport and copies thereof (the original is inspected and only copy is kept by the Authority). 7. Present two color and passport-sized photos. No glasses or hats may be worn. 8. Pay a filing fee: of $3,205.00 pesos (approximately $300 US dollars). 9. Evidence that you can speak Spanish, that you know Mexican history and that you are integrated into the national culture. In this case, the applicant must. 1. Evidence that the applicant’s spouse has Mexican nationality by origin or by naturalization by presenting (i) certified copy of the marriage certificate; (ii) original and copy of the spouse’s official Mexican ID and naturalization card or birth certificate. If the applicant was married to a Mexican citizen in another country, then the Marriage Certificate shall be recorded in the Mexican Civil Registry within the following 6 months to your marriage in able to obtain a Mexican Marriage Certificate. 2. Evidence that the applicant and his/her spouse have been married at least two years before filing the application. This must be proved with the Mexican Marriage Certificate and with an affidavit signed by the Mexican spouse. 3. 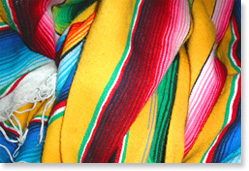 Evidence that the applicant has lived in Mexico for at least 24 months, legally and continuously with a FM-3 or a FM-2. You may not be out of the Country for more than 180 days of the 24 months immediately prior to filing for the application. 4. Complete and sign the application form, including his personal data. 5. Submit his original FM-3 or FM-2, which must be current for at least six months before submitting your application (e.g. if you apply for citizenship on January 1, your FM must be valid at least until July 1). The Authority inspects the original and keeps only a copy. 6. List all entries and exits from Mexico during the 24 months prior to the date of application. 7. Present original and current foreign passport and copies thereof (the original is inspected and only copy is kept by the Authority). 8. Present two color and passport-sized photos. No glasses or hats may be worn. 10. Evidence that you can speak Spanish, that you know Mexican history and that you are integrated into the national culture, and for this you must take and pass a test applied by the Institute“Matias Romero” of the Foreign Affairs Department. 1. You must submit your application and all required documents to the Mexican Department of Foreign Affairs (“Secretaría de Relaciones Exteriores” or “SRE”). – You may choose to submit it in the regional offices located in the State where you live, or your may choose to submit it in the Central office in Mexico City. Normally the process is smoother and faster in the Mexico City office. a. Reviewing your petition and the submitted documentation and deciding if you have met all requirements. c. Requesting the approval of the Office of the Federal Attorney General (in Spanish“Procuraduría General de la República”). This approval is mandatory in able to obtain the Mexican Nationality. 3. You shall sign an affidavit stating that you swear loyalty to the Mexican Government and that you renounce your Original Nationality for purposes of Mexican law. 4. If SRE authorizes and issues before the month of December, you may receive your CN from the President of Mexico at a ceremony held in Mexico City during February or March of each year. However, attending to this ceremony is optional. Thus, you can receive your CN at any time once is authorized. months, provided that all requirements have been met. The Naturalization procedure is independent from your other immigration procedures and legal obligations as a foreigner in Mexico, authorized by the INM. Initiating the naturalization process does not exempt you from having to renew your FM-3 or FM-2. Thus, we strongly advise submitting your naturalization application as soon as your immigration visa has been renewed. If your naturalization process has not been resolved before your immigration document expires, you must submit your application to renew your visa. If your FM-3 or FM-2 is not current when your naturalization process is resolved, you will not receive your CN. Although it is common to use both concepts indistinctly, there is an important difference between them. This difference is important mostly because of the referred resignation letter you will have to sign regarding your nationality, when obtaining the Mexican Nationality. Thus, Nationality is the recognition that a State provides to all other countries in the world that you are a member of such Country, and that you are therefore subject to its protection as well as to the enforcement of its laws and penalties. Both Mexican and American laws states that a person will never lose his Original Nationality, although he can lose the Nationality he has acquired by means of a Naturalization process. Citizenship, however, is the faculty to exercise political rights (i.e. the right to vote and run for governmental offices). Such rights may be suspended or lost when a person is subject to a criminal procedure or if it expressly sworn loyalty to a different Country (i.e. becoming naturalized by and/or obtaining a passport of another country). For example, a person convicted of murder and currently in prison has Nationality but does not have citizenship. Indeed, the person is subject to the protection and enforcement of laws and penalties of the Country, but he will not be able to vote for the presidential elections. However, it is important to note that even though such rules are established in both countries, they are normally applied to criminals and not to a person who has dual citizenship. It is also important to note that, even though you sign an affidavit stating that you resign to your Mexican Nationality, such statement will only have effects to the Mexican Government and the American Government will consider such statement void. Thus, YOU WILL NEVER lose YOUR AMERICAN NATIONALITY BY ORIGIN IF YOU ACQUIRE THE MEXICAN NATIONALITY. Nevertheless, in order to avoid being subject to penalties, it is EXTREMELY IMPORTANT TO REMEMBERthat when you are a person with two nationalities or citizenships, YOU MUST ALWAYS IDENTIFY YOURSELF AS A NATIONAL OF THE COUNTRY IN WHICH YOU ARE FOUND (as applicable). For example, if you are talking to a MEXICAN AUTHORITY, you shall present your MEXICAN ID and state that you are a MEXICAN; and if you are talking to an AMERICAN AUTHORITY, you shall present yourAMERICAN ID and state that you are an AMERICAN. 1. Forget about all immigration procedures. 2. Obtain all forms of Mexican ID, such as the passport and the Voter ID (in Spanish“Credencial de Elector”). 4. Run for some Mexican Governmental Offices. 1. You acquire another nationality by means of a naturalization process. *Although this requirement is in the law, for many years, it had not been applied. We have been advised, however, that the Authority is in the process of developing the procedure for its application. For the moment, just to be able to hold a brief conversation with the Officer in the Naturalization office when the application is submitted is considered to be enough. However, it is possible that in the coming years the Authority requests the applicant to take and pass a test applied by the Institute “Matias Romero” of the Foreign Affairs Department.